Many homeowners know the feeling of spending hours just to achieve the perfect look for their home interiors. After spending some hours coordinating the perfect look, materials, and colours, you may achieve the best results. But this method may not work for all the time. Sometimes, even though you have the creativity, time and effort to achieve the desired perfection, your home decor seems to be missing out something. What you may need is a beautiful and unique hide rug to get the stunning design that you were looking for a long time. As the time is changing, it has greatly affected the preference and choices of the people. That’s the rugs manufacturing companies have now started introducing hide rugs in the market. The demand for such rugs is also increasing steadily among people. One can easily find such rugs in a variety of styles, colours, and designs. There is no wonder why people fall in love with them at first sight and can’t resist buying them. 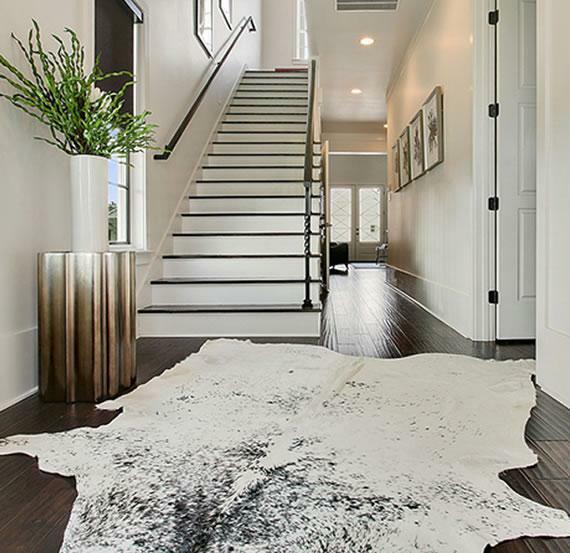 Why should one choose cowhide rugs for their home? The hide rugs are unique as they come from the skin of a cow. You will hardly find any identical cow skins. So, your rugs will be unique from others. Just like other material, you may also have a cowhide dyed as per your choice. Looking for some fancy design? You can consider a rug that is dyed to resemble a Zebra skin rug. Another great thing about the hide rugs is they are durable and last for a long time if you can maintain it properly. They appear at their finest once they have been used and as they age. Such rugs develop a unique personality. These are the home-style piece that you can keep around for a long time.